Here you can view many recommendations from our guests for villas/fincas and farm houses. You will find the form for writing a recommendation directly under the particular object. It will be publicly visible after a successful audit. A fantastic, authentic farm house near the village of Cas Concos. We stayed in this romantic finca with a large group of 10 people. The decor is typically Spanish. The sensational garden is very nice laid out. The entire outdoor area has a special charm. The covered terraces and the pool, as well as the own tennis court were outstanding. We had a wonderful holiday in this beautiful country house with flair. To Santanyi we drove only 10 - 15 minutes by our rental car. The market in Santanyi is beautiful, also the restaurants are very good. Majorca Villarentals has advised us very well and we will definitely be back to Majorca. The small village of Carritxo located on the south east coast was just nearby the house. The great view from the terraces over the countryside impressed us. The covered barbecue was very nice. The pool has a great size. The country house features enough place for 8 people. The décor is Spanish style. 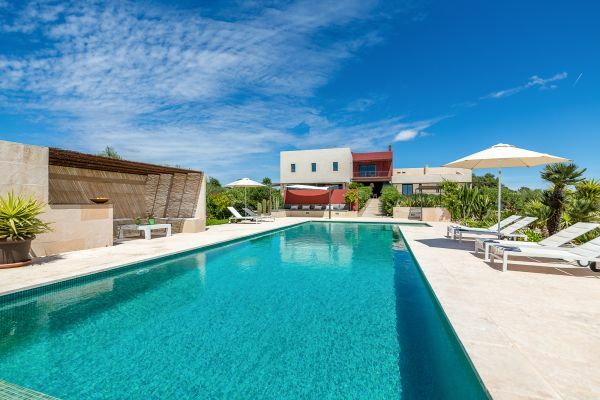 A typical finca for a real good price. The landlord was very friendly and helpful. We spent a quiet and relaxing holiday in this nice country house. The nice traditional market in the village of Santanyi is just 15 minutes away by rental car. The whole booking through Majorca Villarentals, rental car, house, was top, a big thank you. 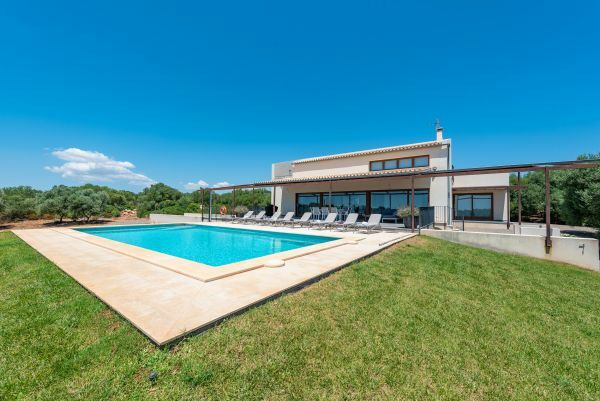 We had also booked through the agency Majorca Villarentals this beautiful finca in S'Horta. The whole process was excellent. The house was very clean on our arrival. The great location with the fantastic view to the sea was unique. Just as on the photos on Internet. The terrace by the pool was great. The house is a beautiful holiday object. We booked again. S'Horta and the marina of Cala D'Or are just 10 - 15 minutes away by car, as well as the golf course Vall D'Or. The agency Majorca Villarentals gave us a great advice and the service was very good and friendly. A villa-style holiday home with romantic touch. We loved the house and our friends as well. We had a really great holiday. The house was very clean on our arrival. The decor is in Spanish style. The covered terraces offer plenty of space. The whole equipment with tennis court, pool and whirlpool was really top. The villa is great for a fantastic holiday. The location near Puerto de Pollensa was very quiet. We will definitely be back and book again through the agency Majorca Villarentals. The entire process was very professional, thank you for the good service. We stayed with our family in this exclusive country house near Santanyi. We were really happy, everything was fine. The owner was very friendly. The finca has a top equipment and the luxury kitchen was a real highlight. We liked a lot the fantastic views and the beautiful pool. The lounge and the furniture on the terrace were really great.This modern luxury country house is a real dream holiday domicile. The house has a very quiet location and to Santanyi it was only 10 minutes by rental car. We look forward to the next vacation in Majorca. Many thanks to Majorca Villarentals for the great advice and the friendly service. We stayed with the family in this beautiful country house near the village of Buger. The house is very neat and we can highly recommend this oasis. The owner is very kind and helpful and her husband is very friendly. We met them both. Everything was clean and well maintained. Our kids enjoyed the pool and the great lawn, we preferred to relax. We liked the small village of Buger very much. It is still very typical and cute. We felt very comfortable. We also drove to Alcudia. There you can find everything, great beaches, many shops and restaurants. This was great for the children. The beaches are fantastic and ideal for families with children. We had a great holiday and look forward to the next one because we will come again. Next time we will go to the south. 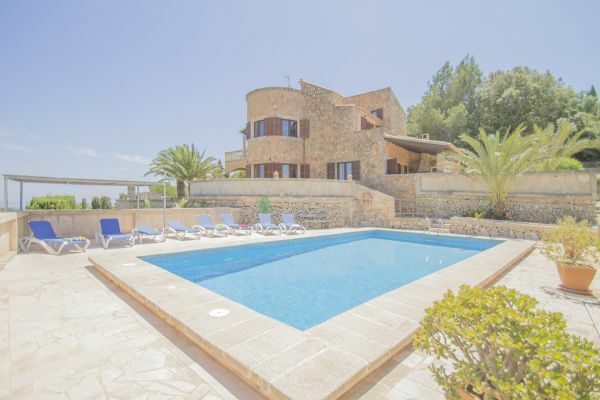 We booked again through Majorca Villarentals. Everything worked well and the team is very nice and above all, they are on site. Beautiful romantic finca. The country house was actually much nicer. In this case the pictures are not as nice as the original. The house has a great garden and a mega pool. The kids were excited. The inside is traditional but clean and well maintained. For a family of 6 people, the house is awesome and we can only recommend this house. The location is also great. We love the southeast of Majorca. In Cas Concos there are some good restaurants. We really like the Son Terrassa. Great views over the countryside and the kids can play. Children are very welcome there. Thanks also to the team of Majorca Villarentals. The tips from the beaches were great and the Cala Llombards we really liked. The other beaches were also very nice. But we also liked to stay lazy by the pool. Thank you for the great holiday in Majorca. We will be back.